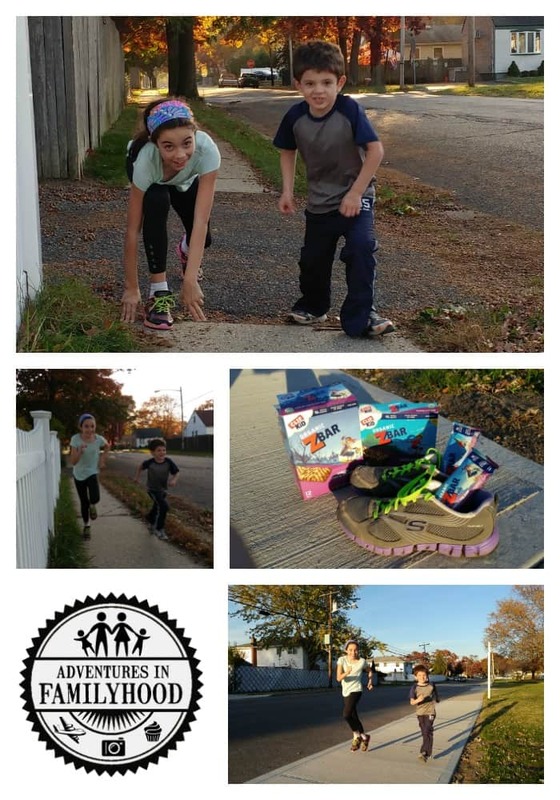 Home » Family Fun » The Family That Runs Together…Has Fun Together! The Family That Runs Together…Has Fun Together! Families have a lot on their plates during the school year. It’s hard to find the time and energy to do fun things together. We’ve discovered a fun activity that we can do with our kids that can happen anytime and anywhere. We are a running family. Since 2014, our family, including our two kids, has been participating in running races. We feel running is a great way to keep the family active. Plus, it’s something we can do together. 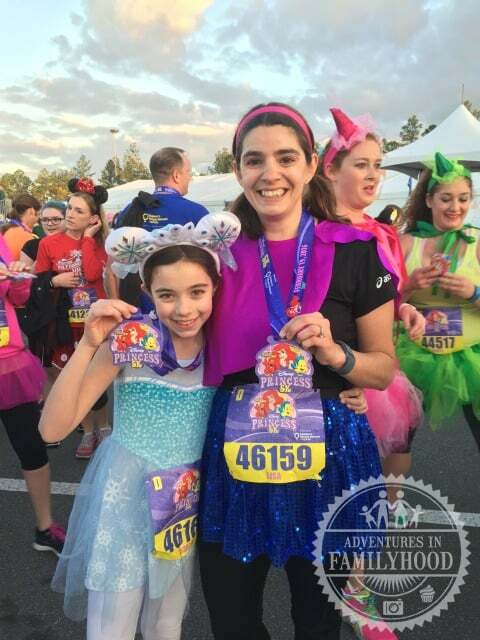 Our first race experience was the runDisney Marathon weekend in January of 2014. runDisney race weekends are perfect for families. Offering races anywhere from a diaper dash to a full marathon, there is a race for each and every skill set. That weekend, Bella and Jackson, who were 2 and 7 at the time, ran a 100 meter dash and a 200 meter dash respectively. Before we knew it we were hooked on running. It made us feel better about ourselves and what we had accomplish. And it didn’t hurt that we got some bling for every race. To date, Bella has completed 3 mile-long races, a 400 meter, a 200 meter and a 5K. Jackson has completed a 100 meter dash, a 200-meter dash and will begin training for his first 5K coming this February. Both James and I have racked up some metals over the years. I have run 9 5Ks and a half marathon. 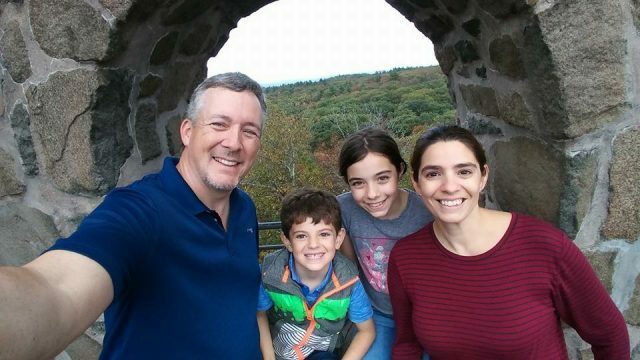 James’ accomplishments range from a 5K to a full marathon. Running isn’t hard. It doesn’t require anything but you and good pair of sneakers. Something I’ve learned from participating in runDisney races is that anyone can run. It doesn’t matter how fast you are, what matters is that you’re out there. Running as a family helps keep us motivated and ready to train for our next race. It makes the experience more fun as well. Training for the Princess Half Marathon weekend starts soon. The whole family will be running the 5K together. Unfortunately, the kids are busier than they’ve ever been. We’re going to need some super power to get them up, motivated and ready to run on the weekends. CLIF Kid is dedicated to reclaiming play all year long. They’re encouraging boys and girls everywhere to get back outside, push their boundaries and feed their adventures. This video illustrates their commitment to active play. 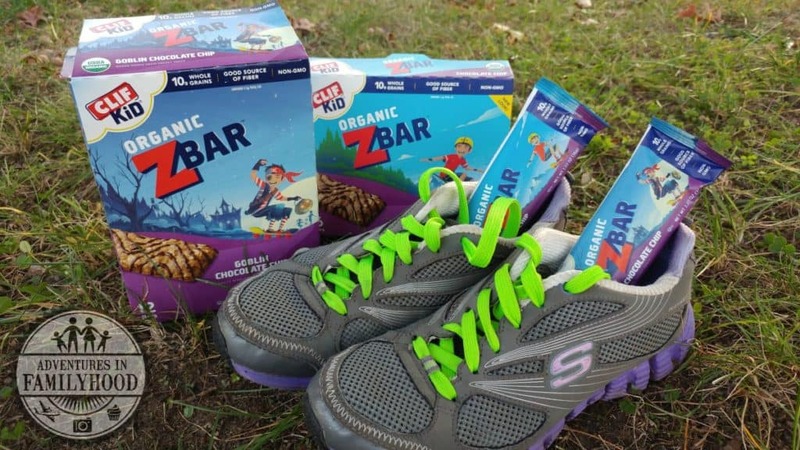 CLIF Kid ZBars are just the thing we need. CLIF Kid® makes nutritious snacks from organic ingredients that are specially-crafted for kids’ developing taste buds and active lives. They’re perfect for kids, like mine who are always on the go. One CLIF Kid ZBar before a training run, and my kids will have the energy and stamina to make it to the finish line. Since most of our training runs happen first thing in the morning, I’ve come up with an easy breakfast idea using Clif Kid ZBars. It includes bananas and protein-packed Greek yogurt that are perfect for eating before any activity. 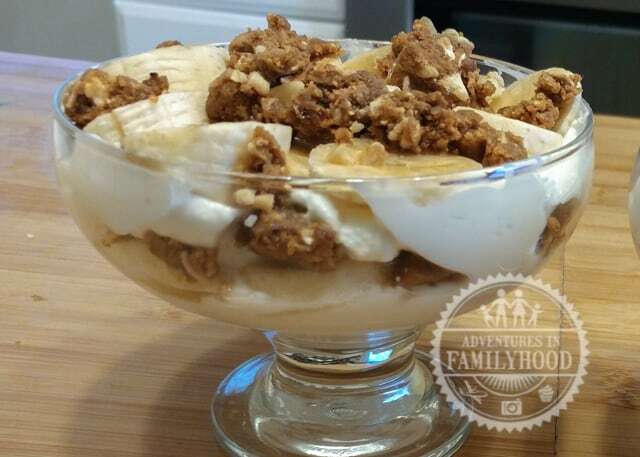 Whether your kids are running a race or hitting the soccer field, this breakfast parfait will keep them energized and ready to play. Scoop half of the vanilla yogurt into the bottom of an ice cream dish or small glass. Place a layer of bananas on top of the yogurt. Sprinkle half of the Clif Kid ZBar on top of the bananas. As parents, we know it’s difficult to fit playtime in around all the other activities back-to-school brings, but by getting creative and establishing a routine, you’ll be sure your kids are healthy and thriving all year long. 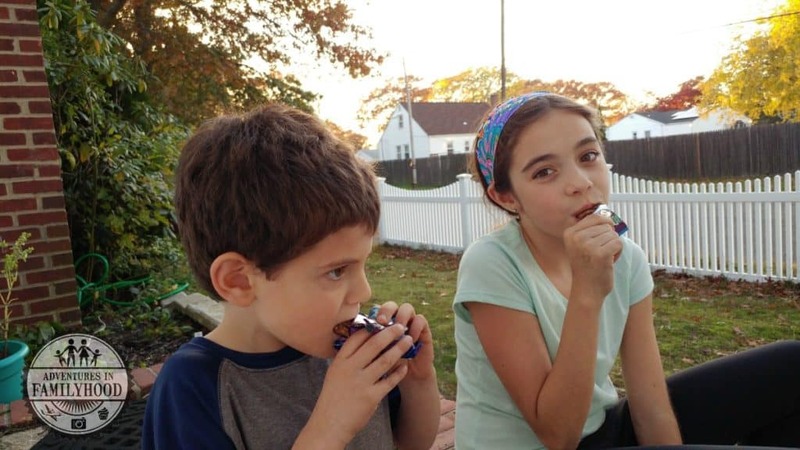 What are your kids favorite flavors of ClifKidz Bars? I’d love to find some healthy snacks for my 1st grader! My kids really like the Chocolate Chip ZBars. They take them for snack time at school. Wow! You’re kids are doing great. Running is a habit I hope my son will pick up on and stick with. Those bars look great btw. Thanks for sharing! Thanks! I’m so proud of them. And hopefully they will keep running as they get older. Wow, what a yummy looking and easy sounding recipe Lisa! Even if you aren’t training for a race, I could see your yogurt, zbar, and banana recipe making a great breakfast! Thanks for sharing all of this with us, and good luck on your next run! Thanks so much! It would make a great any day breakfast. And you could easily switch up the yogurt and ZBar flavors, so the possibilities are endless. I hope you try it! Oh I love this! 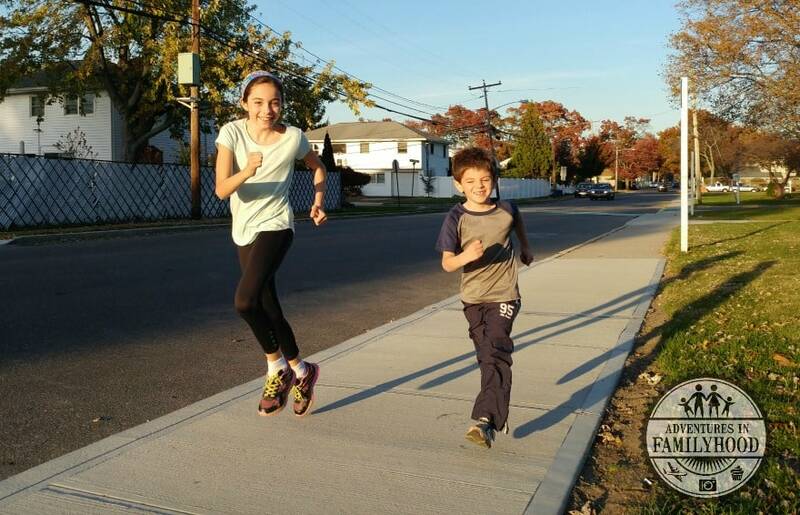 I can’t wait for my kids to get a little older so they can run with me!